Hurricane Irma tore through Miami ripping up trees, power lines, and roofs. "It could have been worse." In some ways it's true. We can't really compare our city's problems to those of Puerto Rico, Mexico, Barbuda, Houston, the Keys, Bangladesh, or the Virgin Islands. Mother Nature has been more irritable than usual this month. Miami - as a whole - got off easy. Poor families got screwed. I intellectually packed that data point away after hearing an NPR report one morning. I was ready for an erudite conversation about how many families in America teeter on the edge, hanging on. Irma proved this is not a discussion topic for thousands of Miami families. It's terrifying. Food, water, diapers, plywood for the windows, medicine. The County told us to purchase enough for three days. Some didn't get power back for seven days. What they did buy rotted in the fridge. The buses didn't run for 10 days. They couldn't get to a neighborhood with power to buy ice if they could afford it. Many had been out of work for days, no income coming in at all. When someone spends what little cash they have stocking up on food, how will they pay the electric bill when the lights finally do come on? My personal experience was completely different. With Irma bearing down, I stocked up on batteries, water, food, some Snickers bars, gas, and high-tailed it to safety in a rental property in Orlando. That cost WAY more than $400. No big deal. I know some amazing people. They are the sorts willing to stand in the gap as Ezekiel would put it. Maggie, David, and Valencia brought several Community Emergency Operations Centers (CEOC) to life. To me, it was if they were conjured out of thin air. 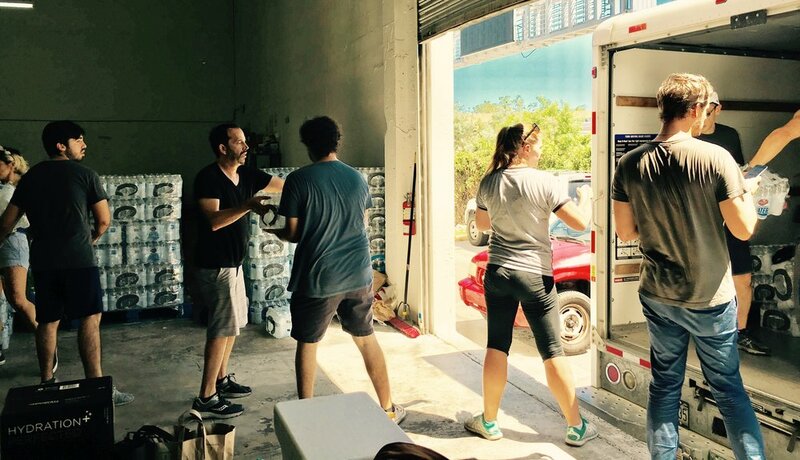 We had a warehouse, trucks, food, water, and dozens of volunteers - like me. We delivered supplies to neighborhoods and neighbors who simply couldn't afford to help themselves any more than they already had. Their $400 was long gone before the storm arrived. Our neighbors - in Liberty City, Little Havana, an old age home, 12 neighborhoods in all - got a hot meal, a cool drink, a little ice. Nothing fancy, but served with as much care as can be on a 90 degree Florida day. I know that the County was helping somewhere, but they didn't seem visible in these vulnerable neighborhoods. The Mayor was a bit of a jerk about the work that Miami's community organizations did, saying "so their claim of feeding people, etc., etc., I don’t even know if it’s true." Well it is true. We did feed people. We were there. Hurricane Irma taught me that Miami-Dade County needs a different sort of emergency response plan for low income neighborhoods. That plan should recognize that community-based organizations like the New Florida Majority, Catayst, the Downtown Dems, and others are willing to be activated. We need all hands on deck at times like these, but the right and left hands should be coordinated. It must acknowledge that the financial burden of preparing for emergencies leaves low income families even more vulnerable. Their needs before, during, and after a storm are unique and important. A storm shouldn't allow anyone to slip further down the economic ladder.